Outdoor Courses for Scrambling, Climbing, Kayaking & Mountain Activities: Outdoor Activity Gift Vouchers. Ideal for Christmas presents, Birthday Gifts or any special occasion! Outdoor Activity Gift Vouchers. Ideal for Christmas presents, Birthday Gifts or any special occasion! Christmas is only five weeks away! Still unsure of what to buy that loved one, special friend or family member? Do they enjoy the great outdoors? Have they expressed interest in learning an outdoor sport such as Rock Climbing, Canoeing, kayaking or Map Reading? Would they like to try out an activity such as Ghyll Scrambling or Canyoing or abseiling? If so - then we have the answer for a Christmas Gift with a difference that they will love! Our Gift Certificates are ideal for that special Christmas Present. They can be used in full or part payment towards any of the activity sessions or Skills Training Courses that we provide. Buying your Christmas Gift Certificate is very simple. First - browse our selection of courses on our website homepage under Courses & Tuition, Upcoming Courses or Upcoming Skye Cuillin Ridge Trips. Secondly, visit our prices page and finally contact us to buy your gift certificate. 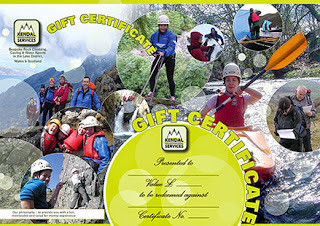 You have two choices as to how you can receive your Gift Certificate. We will either email the certificate to you for you to print and present at no extra cost; or, for only an extra £1.50, we will print your Gift Certificate to high quality paper and post to you - it's that simple! So get online and browse our courses. 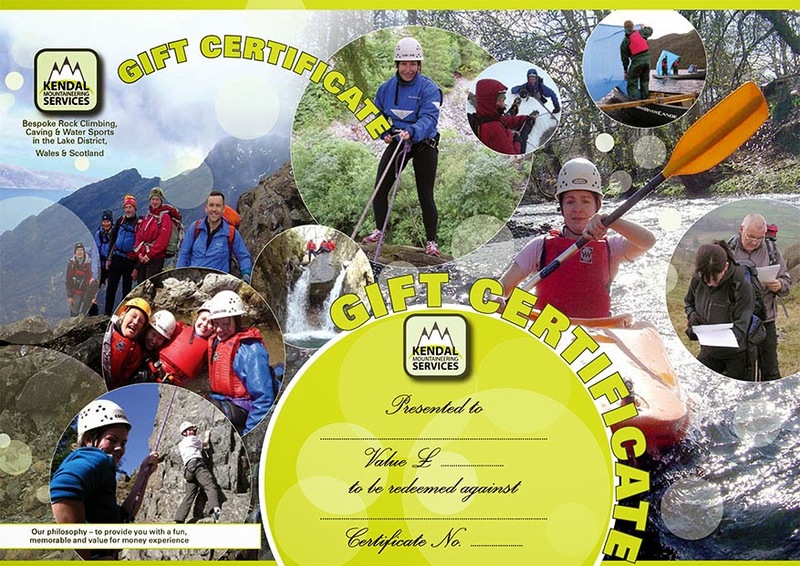 We have a whole range of activities and courses to delight the Outdoor Enthusiast, Adventurer and Adrenalin Junkie and they will just love one of our Gift Certificates. Order yours today!